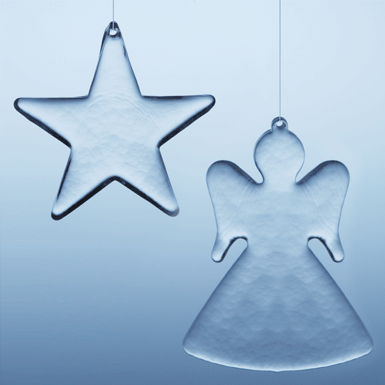 Christmas isn´t the same without angels and stars. The Natale are poured into a cast with a small eyelet to be hung respectively. Liquid glass poured into the mold.